﻿ What Made Flash Games Special? What Made Flash Games Special? 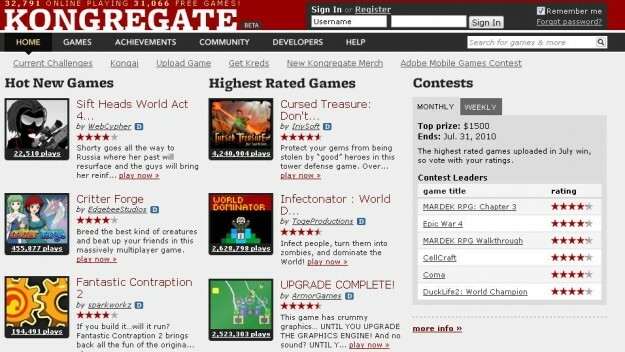 Like many people my age, I have fond memories of logging onto sites like Kongregate and Miniclip and playing one of their many free Flash games. It is with a touch of sadness that I see Flash being slowly removed from browsers. Flash games, more than any single game for console or PC, were my childhood. But what made these games so appealing to me as a kid? Flash is just a platform, after all, not inherently better than any other way to make a game. What did these games have that others did not? What made Flash games special? When it comes to ease of access, it's hard to get easier than Flash games. All you needed was a computer, a browser, and an Internet connection. If a Flash game was accessible to anyone, it was accessible to everyone. Plus, they (usually) loaded instantly- the time between sitting down at your computer and actively playing the game was never more than a minute. If you knew a Flash game existed, you were able to play it. 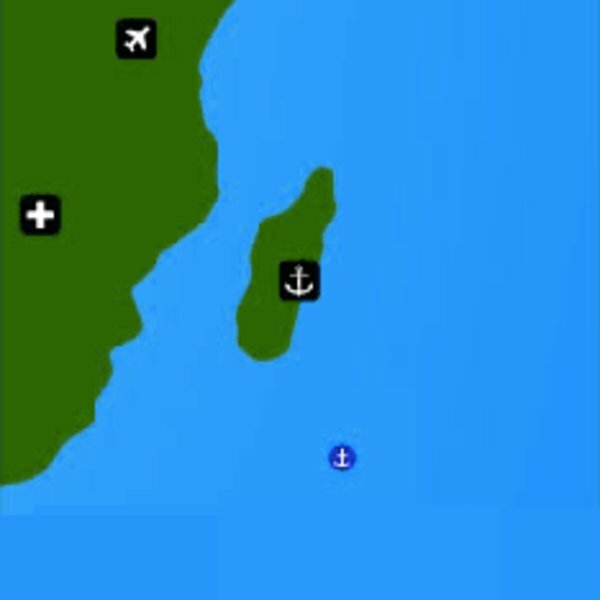 Flash games were often mechanically simple, too. While big-budget AAA titles have dozens of complex, interlocking systems and contextually-driven actions, Flash games were rarely more complicated than "use arrow keys to run and space to jump". While this did place a limit on the depth of the gameplay, it meant that you could jump right into the action and start playing immediately, without having to spend ages reading tutorials or watching cutscenes. Similarly, the ephemeral nature of browser-based content meant that Flash games could not rely on save files. You could play the game for ten minutes on a school computer and another twenty at home, and none of your progress could carry over. This greatly affected how the games were structured. Rich, story-driven titles that took hours to play through were a poor fit for the platform. Instead, Flash games were bite-sized experiences with short, replayable levels. The World's Hardest Game is a great example of this. 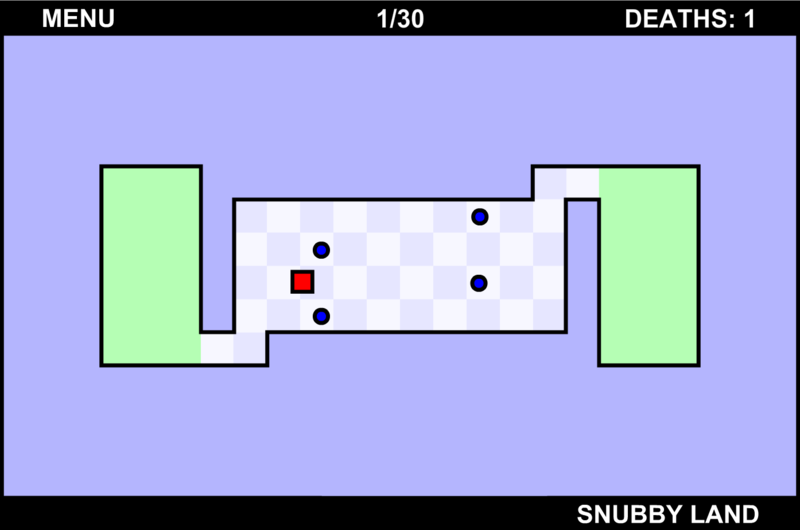 The game had 30 levels, but the first was challenging and complex enough that a player could be stuck on it for hours as they gradually refined their technique. That meant that they could switch computers easily without having to worry about losing all of their hard work. The progress was in the player themself, not in a game save. Even after reaching later levels, starting over wasn't much of an issue, because at that point they would be good enough to quickly fly through the early challenges. Flash games were usually single-player experiences, but they had a social element as well. In my school community, games would come in waves of popularity, and there would be weeks where everyone was playing Bloons Tower Defense or Pandemic 2. Playing the games was one thing, but the real fun was the shared experience. People would figure out tips and strategies and share them with their friends, and beating the game was a noteworthy accomplishment that would earn your peers' respect. I still remember the rush of victory I got when I was able to count myself among the elite ranks of those who had infected Madagascar, an infamously difficult region of Pandemic 2. There was also another, slightly more subversive social aspect to Flash games. Our teachers, of course, didn't want us playing them in school. When we played it was always slightly secretive, hiding our screens from the adults and sneaking any moment we could to open the browser. Our school, like most, had a web filter that blocked many of these games, and finding a way around the filter was a game in and of itself. To this day, when Googling the name of a Flash game, "unblocked" will often be one of the suggestions. To make a good game into a great one, just tell kids they're not allowed to play it. Of course, there's one factor that most likely outweighs everything else: I played these games when I was a child. I was at the prime age for nostalgia, and I look back on pretty much everything I did then with rose-colored glasses, regardless of its actual merit. So is all of this pointless? Would I have thought the games I played as a kid were special no matter what? I don't think so. For one, Flash games in particular were designed to appeal to kids. Compared to the multitude of photorealistic 3D games we have today, Flash games were colorful, cheery, and cartoonish. Even just a glance at the bright shapes on the screen would tell you instantly that these games were fun. They weren't about thoughtful metaphors or involved narratives, these were toys that you could poke and they would make a funny noise. They were especially appealing to kids, and not by accident. But also, Flash games don't exist in a vacuum. We can look at the things they excelled at and compare them to games from other time periods. Through this lens, we can gain insight as designers into how to use the best aspects of Flash games to improve our own games. Before there were home consoles, people played games in arcades. Arcade games were short, replayable, skill-driven experiences that emphasized mastery over progression, and were filled with other players to collaborate with or compete against. Going to the arcade itself was a high barrier to entry, but once you were there the only cost was a handful of quarters. And their primary audience was kids and teens, demographics among which they were incredibly successful. Today, one of the most popular games among kids is Fortnite. Approaching 250 million registered players, Fortnite is a phenomenon rivaling even Flash games. Why is this? It's free, for one thing, so anyone can play it without spending money. It's social, as you can play with (or against) your friends as well as strangers. And it's cartoony and colorful, its vibrant world a stark contest against the drab realism of the similar but less successful PlayerUnknown's Battlegrounds. But on the other hand, it requires a lengthy download, making it practically impossible to play on a school computer. And matches take upwards of 20 minutes each, so sitting down to play is a big commitment. To some extent, these aspects are necessary for the game to function as it does, and it wouldn't be the same without them. But I have to think Fortnite would be even more popular if it were playable through a browser, and kids could get in a quick game between classes. Maybe it's a good thing teachers don't have to deal with that. Flash as a platform is all but dead now, taking its thousands of games with it. Sure, there's HTML5, but that never really took off like Flash did. It seems the era of browser gaming is largely over. But there will always be a place in my heart for the time when you could open up a browser and spend a few minutes in the magical world of Flash.